The 2014 edition of the Red Bank Holiday Flavour event celebrated more than 20 of the town's best restaurants, including Danny's sushi rolls, Greek specialties from Teak, Whipped's crepes, Runa's Peruvian delights, JR's sirloin burgers, cocktails from Ketel One or Laird's Applejack, and much more. 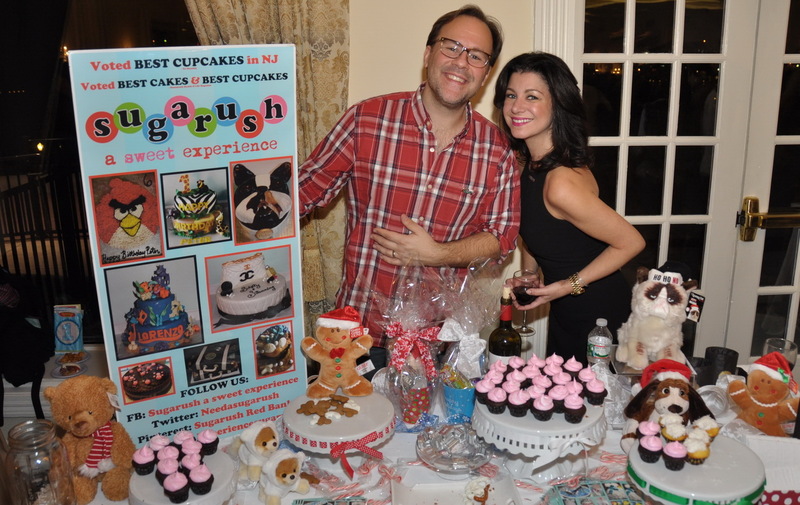 The 2014 holiday edition of Red Bank Flavour’s celebration of the town’s best restaurants took place on December 4th at the exquisite Molly Pitcher Inn on the Navesink River. What’s becoming now an annual event seemed to be event bigger than the previous two editions, with hundreds of people in attendance and more than 20 restaurants and liquor distributors serving samples of their food and drinks. The event benefitted the Parker Family Health Center, a health care facility where Monmouth County residents who do not have medical insurance or ability to pay for medical care can be treated. 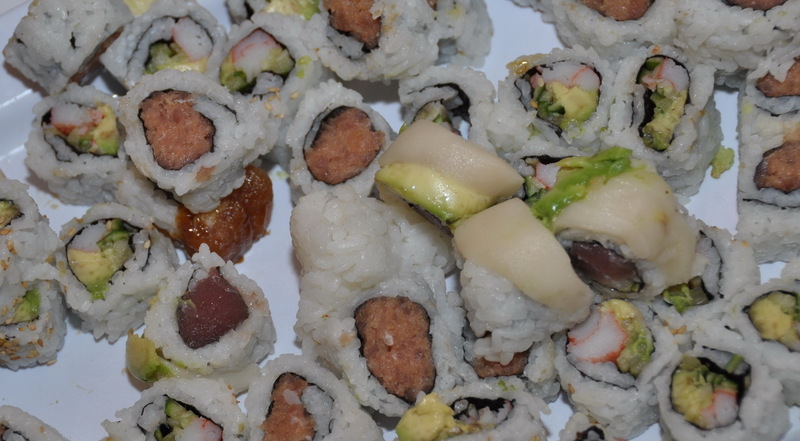 We got off to a great start with Danny’s Steakhouse‘s awesome sushi rolls. Danny Murphy himself was serving the spicy tuna, as well as the avocado tuna. 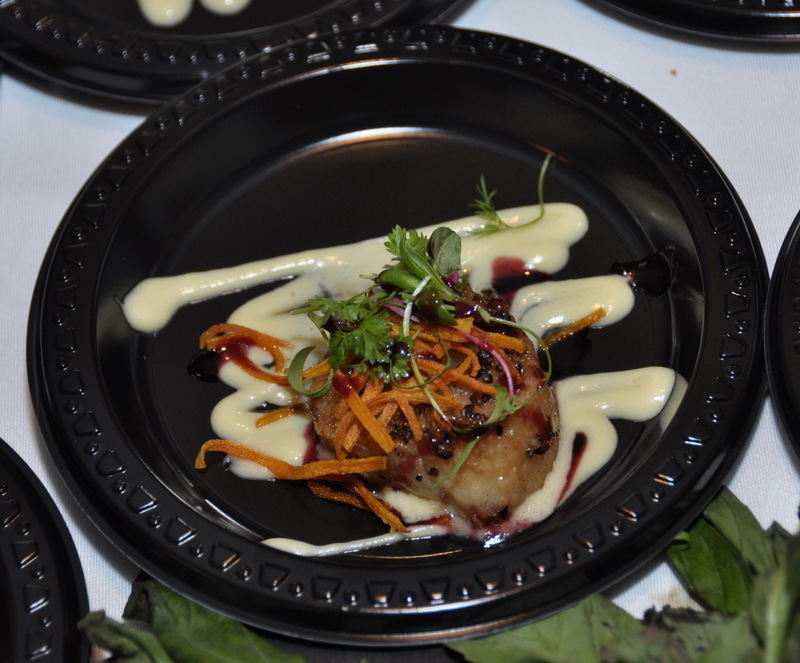 The host venue, Molly Pitcher excelled with an amazing slow roasted pork belly, with a smooth roasted butternut squash puree and a bourbon maple glaze, all melting together in your mouth. One of my favorite restaurants, Teak usually brings thai food, but this time owner George Lyristis was serving his impromptu Greek creation, a pork belly gyro. I had to come for seconds to his booth. 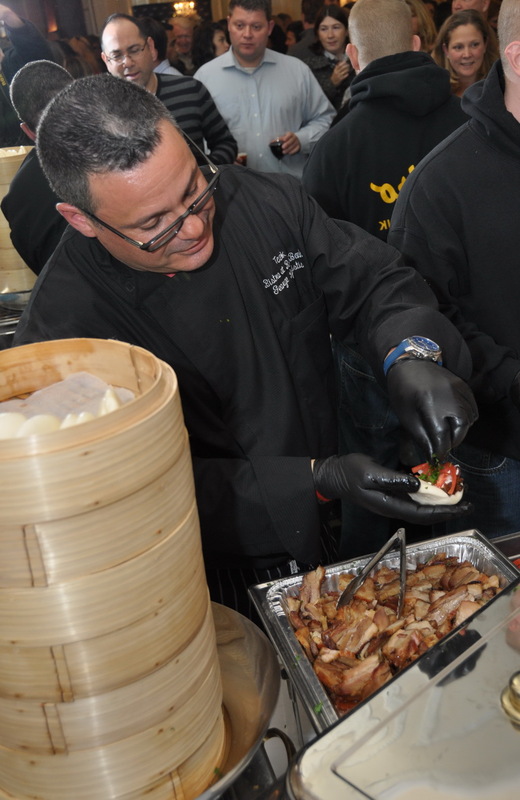 There was more pork to his left, where Chef Anthony Ferrando of Dish was offering slow roasted slices. This time, I really enjoyed the varied liquor offerings. 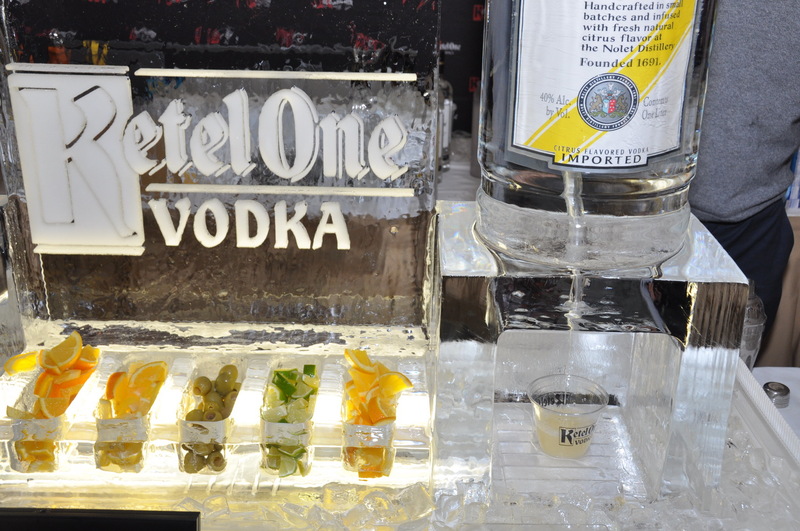 Almost the centerpiece of the main room was Ketel One‘s display with its two giant bottles framing what looked like an ice sculpture. A team of “bartenders” were pouring the fine vodka down a long twisted slide which filled the glasses at the bottom. I had a lemon flavored one, and had to return later to try the orange as well. Monmouth County distillery Laird’s Applejack was present for the first time at a Flavour event. They had me taste an apple-flavored cocktail and a very good limoncello, and promised they’ll open a tasting room at their Colts Neck location… in a few years. Other drinks available were a few wine offerings as well as multiple flavors of Bailey‘s. Going to the next room, it was time for some desserts! And what better dessert can represent Red Bank than Whipped Bites‘ delicious crepes. Owner Nick Napoletano was making them fresh, serving the best nutella crepes in New Jersey. And since they’re a full sweet shop, they had a very tempting cupcake tower as well. As a refreshment, I stopped by the next table, Rook Coffee. I’ve become a bit addicted to their iced coffee shots they give out at various events. One day, I’ll stop by their boutique coffee shop for real hot coffee, but for now I’m more than happy with the refreshing cold ones. Another of my favorite sweet shops in Red Bank is Lil Cutie Pops, with its small, lollipop-shaped glazed chocolate balls. They often have cartoon character-themed ones, but this time they were back to basics with Christmas-themed red and green chocolate pops. With all these desserts, I have to save some room for even more great food. Runa is one of Red Bank’s newest restaurants, and its owner, Chef Marita Lynn was personally serving Peruvian chicken with a very tasty quinoa. Pazzo had some very simple, but amazing glazed cheese balls, while Front Street Trattoria seems to like to “show off” at the Flavour events with some very creative concoctions. This time it was eggplant caponata with crumbled fresh cheese or roasted butternut squash with smoked gouda and red peppers. And last but not least, I was really looking forward to JR’s sirloin burgers. They have the most tender and tasty meat of any burgers, but my favorite is the pineapple based Maui Sliders (they almost made a special order for me, since they ran out by the time I first got to their table).